Have your fish been acting unusual lately? If their behavior is confusing you and you can’t pinpoint what’s going on, the answer might be stress. Just like humans, aquarium fish experience stress as well. Therefore, it’s our job to provide them with all the necessary needs in order for them to thrive. 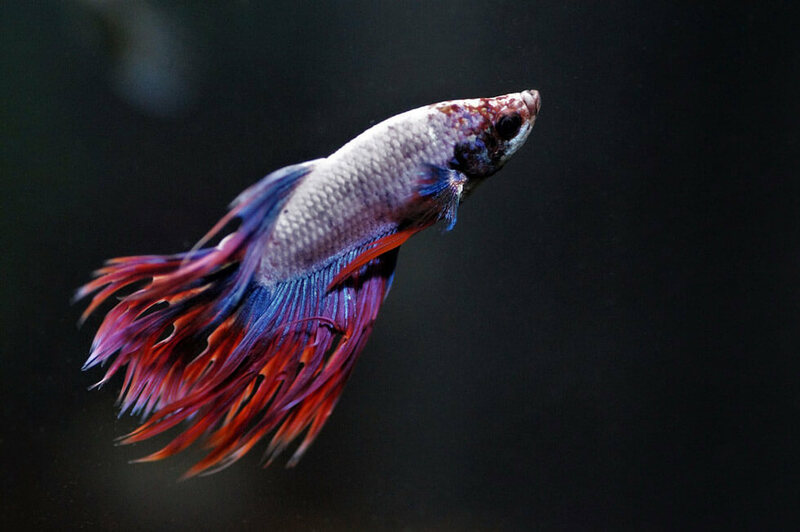 It’s important to realize that stressed fish are more prone to disease, which could lead to eventual death. Physical changes. Stress tends to directly manifest on the body of a fish, so keep an eye out. 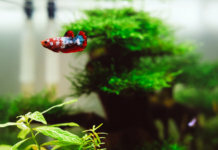 If you notice changes in color or the appearance of spots, these may all be signs that your fish is experiencing stress. Additionally, inspect the scales and fins of your fish. Look for injuries, as your fish might be the target of other aggressive fish, which in turn leads to injury and stress. Changes in behavior. Since you know your fish best, most of the time, any change in behavior won’t go unnoticed. 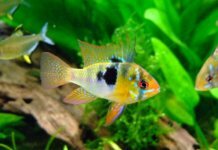 The most common stress indicator in aquarium fish is lack of motivation. For example, stressed fish prefer to lay at the bottom of the tank or avoid contact with other fish by hiding. They may also have a poor appetite and eat either less food or not at all. Another manifestation of stress is gasping for air or swift swimming. 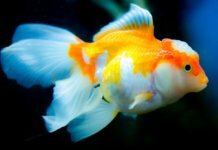 What leads to stress in aquarium fish? 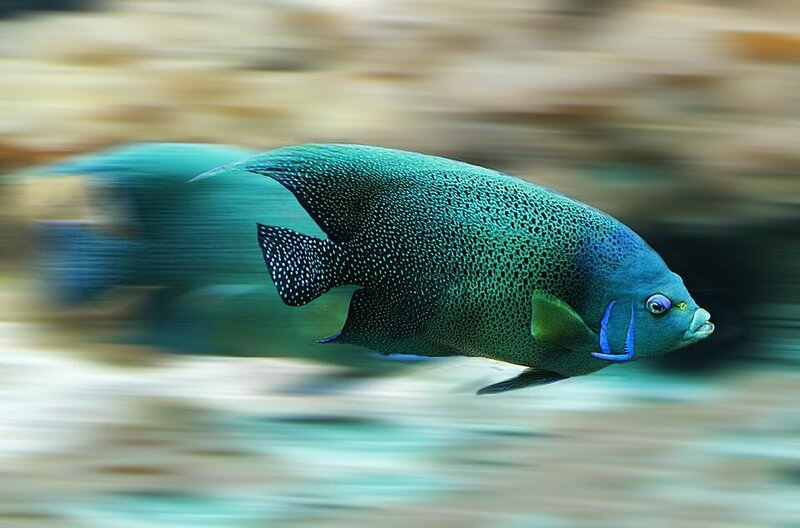 Aquarium fish can experience stress for a multitude of reasons. Since they dwell in a secluded and closed-off environment, the factors that affect their living space ought to be stable. Especially regarding water chemistry, quality and temperature. In fact, there should be no change regarding these factors. 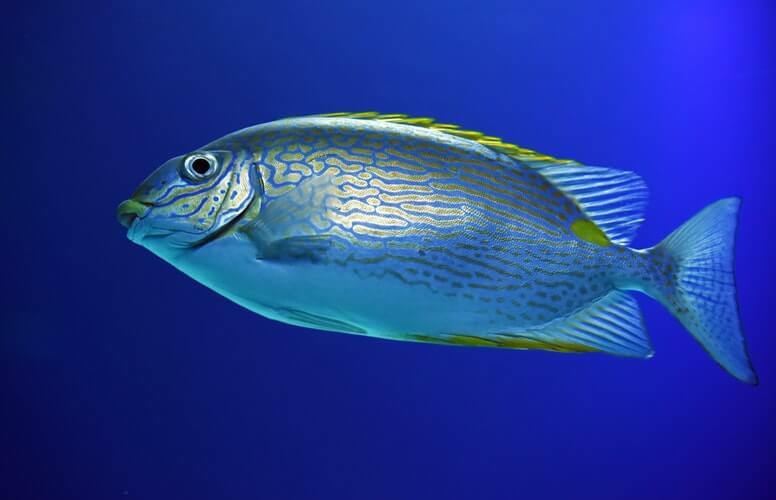 When change occurs, it could be potentially harmful to the fish. In order to prevent this, educate yourself on the proper living conditions necessary for the species of fish you own. Water quality. If not filtered properly, the tank will turn into a living trashcan full of fish species, waste products, leftover food particles, etc. Drastic changes in temperature. Fish need stable temperature at all times. If you want to lower the temperature or raise it, you must do it gradually. Other fish. Whether the tank houses too many of them or is home to aggressive species, both factors can cause stress in fish. High levels of ammonia, nitrites or nitrates. The levels of these should always be stable. Also keep track of the salinity and pH balance of your water. Not enough food. Make sure you are feeding your fish often and giving them the sufficient amount of food. Prior to helping your fish, you must detect the source of their stress. Once you have found it, it’s much easier to alleviate the stress factors that are affecting your fish. Start with the fish tank itself. Inspect your equipment and make sure that each component is working properly and performing on a regular basis. After you have eliminated the equipment as a factor, move on to the water itself. There are many inexpensive water test kits on the market for various kinds of aquariums. We recommend searching on Amazon. The next step is to perform a water test. Since doing this will give you a picture of the water’s chemistry, you’ll see what it lacks and if there’s too much of anything. In the case of poor water quality, change the water. If neither of these elements is causing stress in your fish, we recommend focusing on the fish themselves, whether as a whole or one by one. Make sure that all the fish in your tank are compatible with each other. If there’s a fish who’s a bully, remove it from the tank. Pay attention to each fish separately in order to decipher whether they’re carrying a disease or are injured. Once you figure out what their disease is or find out that they’re injured, take the necessary steps in order to nurse them back to health.